No matter what people say, your blog won’t be taken serious until you have a blog that is self-hosted; hosting your own blog allows you to create sub-domains and gives complete access over name server change and other technical stuff that might be of great importance at long run. So if you want professionalism in the blogosphere, WordPress is your best platform, it sends the message to visitors and advertisers that you’ve invested some certain amount of money in hosting and designing your blog, therefore they(advertisers) won’t come with poor offers. creating your blog, so there is every tendency that you might wake up one fateful morning and not have your established blog online again! That’s the most disastrous thing that could happen to blogs hosted on blogger, but on WordPress, you have no policy to adhere to (except for that of your hosting company on data usage), you make your rules, if you break it you won’t punish yourself will you? So on WordPress all contents remains your property and there is no fear of getting your blog deleted by some computer bot. WordPress blogs are easy to customize/edit, allowing more flexibility and styling, blogger does not give much access to the code that makes up your blog. It is very important to edit the installed theme to your taste that is why WordPress allows you to do this, while blogger does not, simple because the file is hosted on one of Google servers so access is restricted to source codes. Often people take the assumption that Google favors blogger blogs over other platform because it is hosted on their server, that is a very wrong assumption, in fact WordPress users have an edge a head of blogger has they can edit their theme to suit search engine taste. 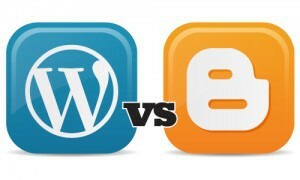 More than 70% of the blogs on the internet is built on the WordPress platform, which makes it very easy to get help when you run into trouble, unlike blogger that does not have a functioning official forum for users, WordPress does, and there are active topics and veteran users of the platform to help when you have any issue. Recently I noticed a trend in which blogger users are beginning to customize their themes like that of WordPress, this says a lot about how stylish WordPress blog is, if they’re satisfied with blogger look, why would they try editing WordPress theme to work on their platform? WordPress has varieties of free and premium theme for creating a beautiful blog. There are bunch of WordPress plug-in that can help in adding various features to your blog, various plug-ins like share button, subscribe button, recent comment, Commentluv e.t.c. On WordPress, it’s very easy to reply to comment directly from the dashboard, this can save administrator a considerable minutes, especially if your blog gets a lot of comment. This is not possible on blogger until you open the post and reply to comment through the blog post. WordPress has a very comprehensive and well-designed dashboard which gives the administrator lots of tools to handle their blog appearance. The dashboard is designed in such as was as to make editing blog easy for users with no prior knowledge about coding and other technical stuffs. On WordPress, it’s very easy to embed video and other media inside your blog post, without worrying about site layout. While it is also possible to insert video in blogger, there is every tendency that the video would not align with the blog layout, which will eventually make everything messy. 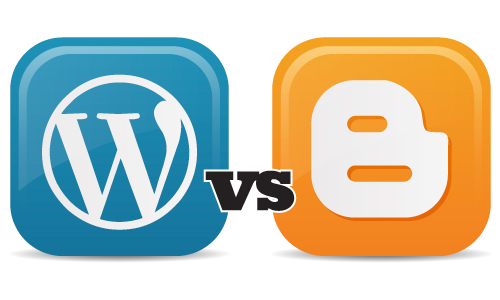 I have done my best in highlighting the advantages of choosing WordPress over blogger; And am sure some people have differnent opinion on this, you can also contribute your quota by making use of the comment box. Hi Kyle, is a good thing that you have decided to resurrect this dead argument, so I can also have my say on it. Firstly, I will start with the issue of PROFESSIONALISM, does the hosting location of a webpage really define it’s level of professionalism? In my opinion, it is a clear NO, bloggers who uses the blogger platform also spend money for domain names and buying premium templates, they also manage there dns server and create subdomain names, the fact that a person used the limited version of blogger (.blogspot.com)and suffered a whole lots of limitation should not be a trademark for all. I use the two platforms (wordpress & Blogger) and I fully understand the different between a website being defined by it’s numerous plugins (wordpress) and the true touch of professionalism. Thanks for stopping by to comment. Its a wonderful opinion and I agree!